Our firm is dedicated to the ongoing education of members of the healthcare team. Check back with us frequently for upcoming educational seminars. Richelle Marting presented at the Fall 2017 Point Click Care Long Term Care Facility Summit on HIPAA Compliance: Practical Strategies for Effective Solutions. Richelle Marting presented at KBA 2017 Health Law CLE on Medicare Reimbursement Appeal Procedures. KJ Wall presented at KBA 2017 Health Law CLE on recent legislative developments and newly enacted laws pertaining to heath care facilities, payors, providers and legal practitioners. Richelle Marting presented March 30th in Baltimore at the American Health Lawyers Association’s Institute on Medicare and Medicaid Payment Issues on the topic of Medicare Claims Appeals. Frankie Forbes is recognized by Super Lawyers as a Top Rated Health Care Attorney for 2016. ​Richelle Marting presents in Baltimore for the American Health Lawyers Association on Medicare Claims Appeals. Frankie Forbes served on a special subcommittee of the Kansas Judicial Council that recommended updates to the Kansas Open Records Act in order to keep pace with the rapid changes in mobile communication. Richelle Marting is listed by Super Lawyers as a Rising Star Health Care Attorney for 2016. Forbes Law Group authors a guide on the legal aspects of health information management for the Missouri Health Information Management Association. Richelle Marting joins the advisory board of Penn Valley Community College's health information management program. Quentin Templeton and Richelle Marting serve on the Kansas Bar Association Health Law Committee. Frankie Forbes and Richelle Marting are recognized as Super Lawyers, Rising Stars. K.J. Wall joins the firm. He most recently served as Counsel for the Chief Justice of the Kansas Supreme Court. Richelle Marting joins the faculty of the University of Kansas Medical Center's Health Information Management program. Frankie Forbes becomes an American Health Lawyers Association Dispute Resolver. 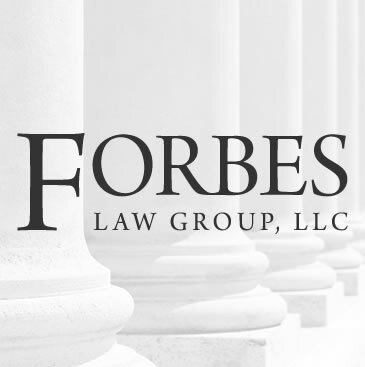 Forbes Law Group, LLC was recently featured in the nationally distributed Report on Medicare Compliance in the article MD's Victory in Meaningful Use Appeals May Be Good Sign in World of Punishing Audits and Critical Care Coding Trips Up Providers, Catches Eye of Auditors.